Drone delivery might be years away in the North America, but it’s becoming a reality in Rwanda this summer. 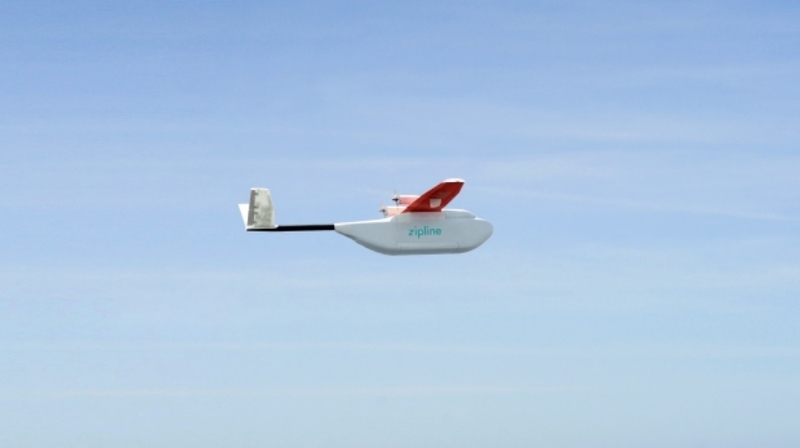 A San Francisco-based drone delivery company says it’ll start making its first deliveries of blood and medicine in Rwanda in July. Zipline International Inc., backed by tech heavyweights like Sequoia Capital and Google Ventures, demonstrated its technology for journalists last week in an open field in the San Francisco Bay area. In a demo broadcast on Periscope on Friday, a staffer launched a fixed-wing plane weighing just 10 kilograms (22 pounds) off a launcher that used compressed air. Electric-powered propellers took it the rest of the way, on a flight that could extend to 120 kilometres (75 miles) round trip, using military-grade GPS and software to navigate. As it dipped low before the drop-off area, the bottom popped open, and a cardboard box with a parachute made of butcher paper and biodegradable tape burst out, plopping to the ground a few steps away from CEO Keller Rinaudo, who walked over to retrieve it. “You have a database of people. You know their lives are in danger,” he said. Company executives said the cost of each flight was about the same as a motorcycle trip, but far more reliable. And because deliveries of packages up to 1.6 kilograms (3.5 pounds) could be completed in 15-30 minutes, modest packaging eliminated the need for refrigeration along the way, which saves on wasted supplies such as blood. “We leapfrog broken refrigerators, we leapfrog the lack of roads,” said Keenan Wyrobek, Zipline’s head of product and engineering. Two hubs contained in modified shipping containers with 10 to 15 planes each are all that’s required to serve all of Rwanda, the company says. The Rwandan government announced its deal with Zipline in February. It plans to operate in other countries later this year if it proves it can operate successfully in Rwanda. Rinaudo says the company for now is focused on medical supply delivery in emerging economies where there is less air traffic and regulations are easier to deal with than in the U.S. or Europe. “The U.S. has one of the most complicated airspaces in the world and for that reason the (Federal Aviation Administration) is even more risk-averse than most regulators,” he said.